Current Customers - Pay Your Bill Here! Eagle Self Storage is Missoula's nicest, most secure, and friendly storage center near you. 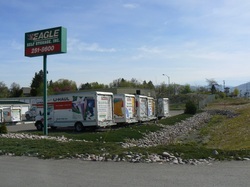 With a wide variety of sizes to choose from, the team at Eagle Self Storage is ready to meet your self storage needs. 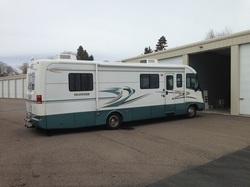 We have everything from RV storage, to closet-sized storage. At Eagle, we take pride in providing you with the cleanest facility, with the most knowledgeable staff to find out what is right for you. Whether you are moving locally, or from across the country, we provide a safe place to store your belongings. Eagle Self Storage is a licensed U-Haul neighborhood dealer, adding the convenience of a one stop shop to your moving process. We also offer an impressive selection of moving and packing supplies to ease your moving or storage projects. Stop in or call us today, to find out why we are the safest move in town! ​Eagle Self Storage has you covered.